Club Penguin Cheats by Mimo777 Club Penguin Cheats by Mimo777: What's Your Puffle's Name? Everyone loves Club Penguin puffles, right? Well, that got me thinking! How does everyone come up with the names for their puffles? So, yo, I wanna know! Does anyone have a puffle named Moe? Please tell me, do you have a puffle named Lee? Hey, hey, what do you say, anyone have a puffle named Kay? Wow, give me a shout, do you have a puffle named Scout? I just relise that I have tons of puffles. 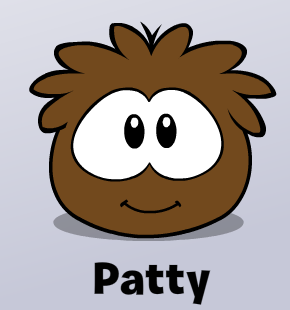 My one and only puffle named "Rare" : BROWN. My puffle names are Grape, Flier, Orangey, Dale, Snow White, Co co brownie, and Firestar. My brown puffle's name is scientist. I also have a puffle named Blueberry. I have a puffle named after my girlfriend. I name my puffles after hurricane names. Another reason I'm a little off. I even have a list of backup puffle names just in case one runs away. Note: I hate black puffle. That's why I called him 'Worst'. I was walking with my new puffle ,THE FLAME, to the night club and the music called bamboo forest came up! Wow. . . I have too many puffles. . . I have zero. The new ones look ugly.Thats what i think, so i sent all of them away to burn! lol jk. but i still have zero. I have a red puffle called Iarr as the Rockhpper. im a non member so i only have a red puffle and a blue puffle. 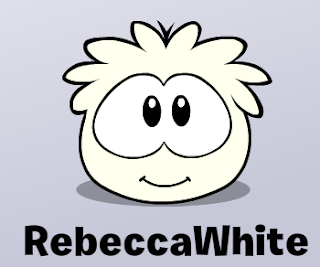 oh and why is your black puffle named shawn black and your white puffle named rebecca white? not finished with my puffles yet! I have four puffles, my green is Disco, white is Puff, brown is Trigg and orange is Zingo. My red puffle is called Moggle and my blue one is called Pansie. Lol..
Hmm well, I used to have a black puffle called 'Frabkenstein' becuase I got it on halloween last year. I Have A Yellow One Named Butter Scout! got a purple one named Groovy! Hey Mimo, you know the new wand in the clothing catalogue. Well when you hover over it with your mouse in inventory some sparkling stars come above it. I think that's pretty cool. Haha I have the same exact colors too. It's such a pain to feed them all! I have a green puffle named "Vom" and a brown puffle named "mit". Mee mow! I have a puffle named Abagil after my GF. Hey, check it out, revers the black and whit puffle's names and you get: Shaun White and Rebecca black 2 famous and semi famous people. I wish other penguins can see the names of our puffles. Mine are named moe lee kay and vomit, i just bought them after reading the article. yeah but isn't it Shaun not Shawn? I always love to rhyme told y'so! My puffles' name is Flick and Nick! Well, wanna meet on Herotopia? Or i'll use my Nickname, Wave jones! 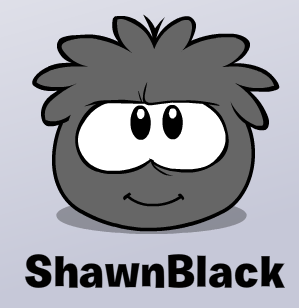 i thought you had a black puffle named Simon Cowell? so, all the puffles i have ever had that i can remember. I have 5 puffles now. More than that and it's a chore, not fun, to take care of them. I know Bob is kinda boring compared with the others but I couldn't think of a creative name for my green puffle. My yellow puffle is called Banana. Hey Mimo! My puffle is named Scout :D He's red! I have one puffle it's blue and is named Lee befriend krazykendall!